My favourite attractions in Ocean Park are the Giant Pandas – they are just so amazing to watch! I can’t get enough of them. On our team day we spent quite a lot of time in the two panda houses! 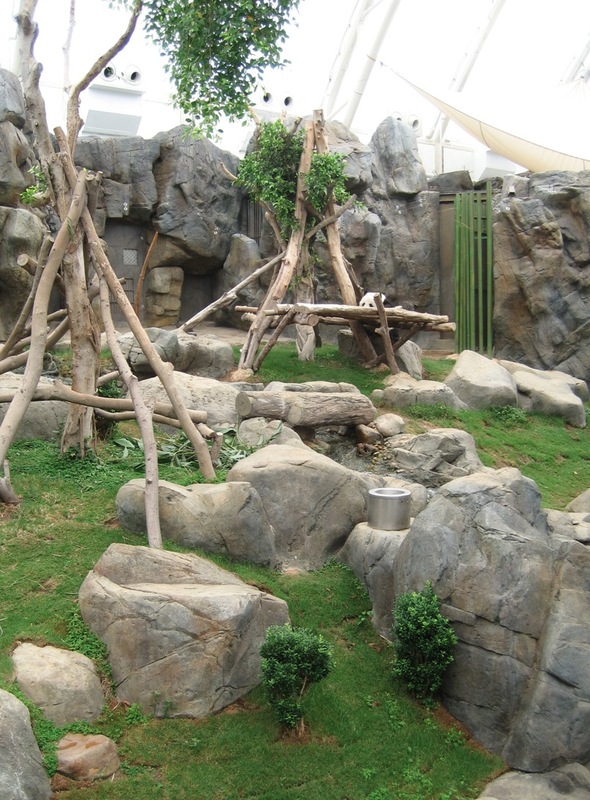 At the HKJC Giant Panda Habitat (which is the older of the two panda houses) you can meet two precious giant pandas: An An and Jia Jia. An An and Jia Jia are extra special as they were given to Hong Kong in 1997 to mark the return of Hong Kong to Chinese sovereignty. An An was too tired and hiding in the corner, so I could not take a picture, but Jia Jia was more active and walking around in her habitat. 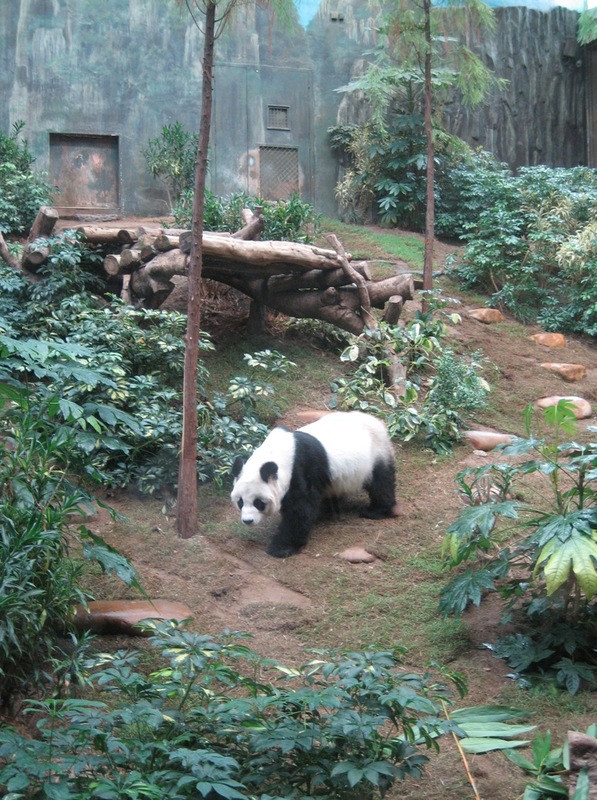 In the second panda house live Yingying and Lele. They are the ‘youngsters’ who were born in August 2005 at China’s leading Panda Conservation center in Wolong, Sichuan province. The pandas were flown to the Special Administrative Region from the Chinese mainland two years ago to mark the 10th anniversary of Hong Kong’s return to the motherland. Lele was just too tired – he sat in his habitat, just sleeping in a position that looked like he was sitting on a chair and resting on a desk! 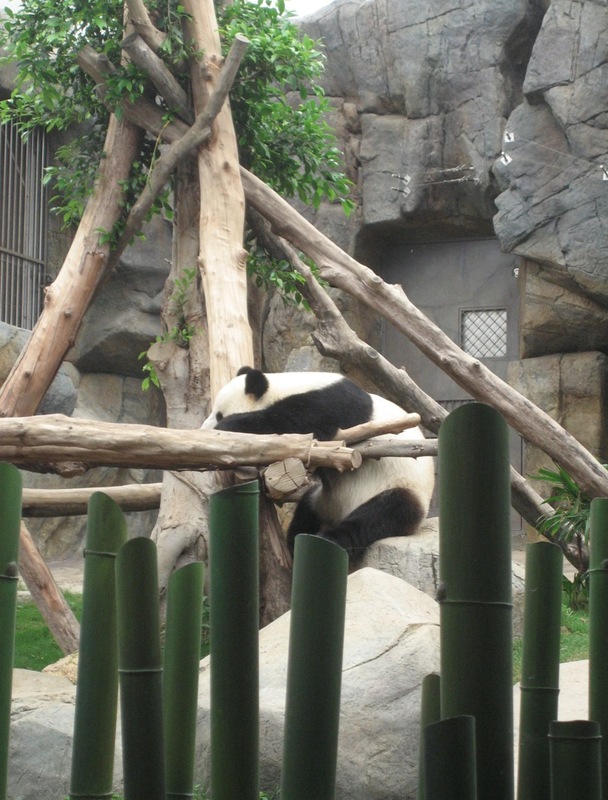 He staid in this position all the time, not moving the whole time we visited him and Yingying. 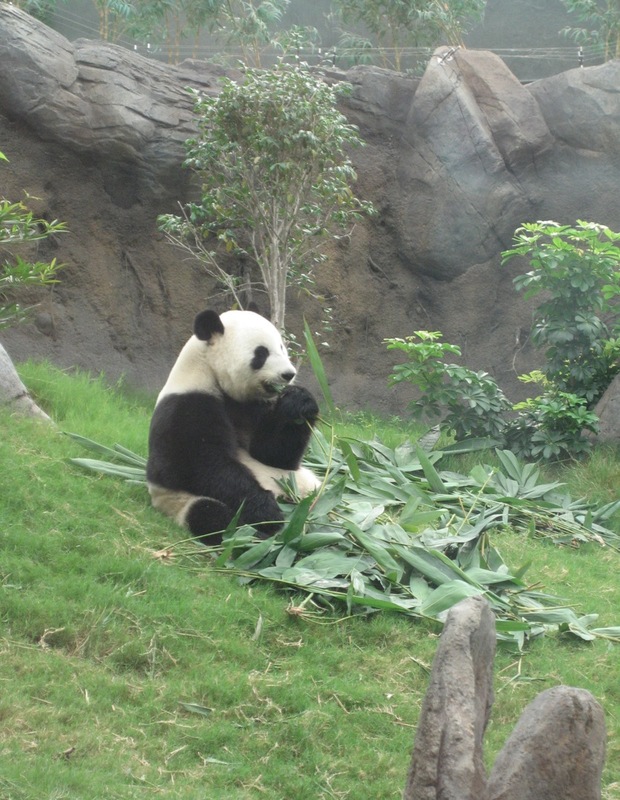 Yingying was very hungry – she kept eating bamboo for the whole time that we visited her. 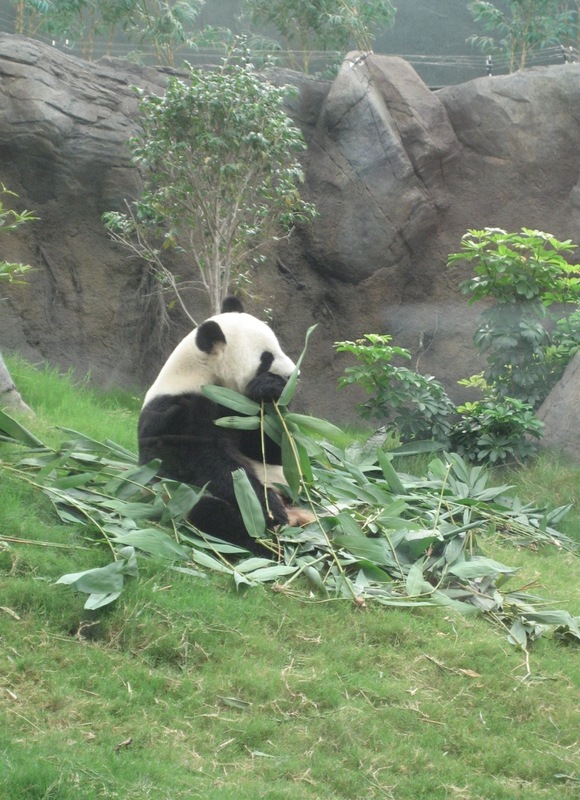 Of course, giant pandas need a lot of bamboo, and judging by the speed that she ate it will take half the day to fill her stomach! She munched all the time and seemed to enjoy herself. Yingying was so cute to look at, I would have loved to stroke her fur just to see how soft it is. 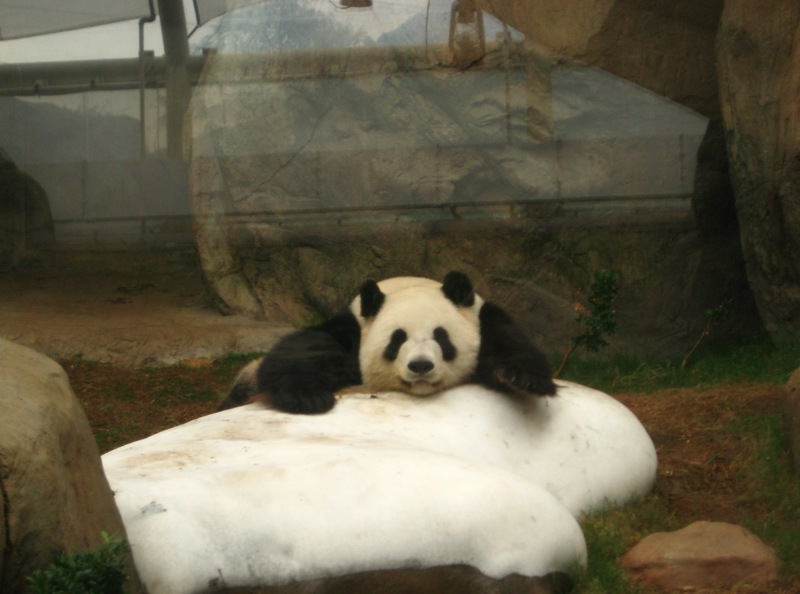 Hours later, when we came back Lele was still in the same position, while Yingying was full from all the bamboo and just resting on a block of ice.